In our previous post we described how passive income can generate an extra stream of revenue that doesn’t require your permanent attention. Instead of trading hours for money (which is typical for the architecture business, like any other service business) such a passive revenue stream is not directly linked to the number of hours you put into it. For example, take an ebook that’s doing well and has steadily sold many many copies: once the e-book is online and ready for sale it stays there as a permanent revenue generator. So instead of being paid for a project once your contractual obligations are done, such an income stream—once established—generates money in the background on autopilot. 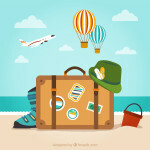 You get more freedom as you become less financially dependant on the service business. Freedom to do what you like (like spending more time with friends and family) or to chose what to work on (interesting architecture projects, scaling your passive income streams, charity projects, generating new income streams…). We want to repeat however, that building such an income stream is not easy (and requires a significant upfront effort, dedication and passion), and even when it’s established it still requires effort to maintain and/or scale. So if you’re looking for an easy way to get rich overnight, this is not the way. However, if you are ready for a few years of patient, long-term and focussed upfront extra work, you are going to get some passive revenue. We have been interviewing architects over the past few months who successfully generated passive income. Here are some of the people I have been talking to: Mark Le Page (EntreArchitect), Enoch Sears (Business of Architecture), Doug Patt (How to Architect), Michael Michael Riscica (Young Architect), Mike McDerment (Freshbooks), John Hill (A Daily Dose of Architecture), Anthony Robledo (Architosh), and Scott Onstott (Secrets in Plain Sight). And we’ve more interviews planned for the next few months (Oh BTW, still looking for interesting stories, so please get in touch if you have something to share!). Instead of sharing a high-level theoretical framework, I’ll be sharing real-life stories of architects who successfully generated income in alternative ways, and how they did that. They’ll share with us what they have been doing and also what worked or didn’t work for them. Just like most of you, they all started from zero and succeeded in transforming their unique skills and expertise into new revenue streams (in addition to or replacing architecture service work). As you will discover via their stories, there are no secrets or magic bullets. There is no formula or cookbook to follow that will generate you $5K of monthly recurring revenue overnight. But what they all confirm is that if you take the time and effort to study how others did it, if you keep trying, if you are ready to make mistakes and learn from them, and if you are dedicated to succeeding, then you will make it. Ultimately (even sooner that you might think), you’ll build a (small) extra stream of passive income. Before sharing these stories we want to provide you with 6 proven ways for architects to generate passive side income. In the next articles we’re going to take a deeper look at each of them (and some others), explain how to get started, and share the lessons learned from the guys listed above. Every architect has an expertise (be it how to manage or market an architect practise, how to work with a CAD program, how to pass certain exams, how to isolate houses, how to work on urban design, how to build a website that attracts the kind of projects you want …). You can be sure that there are a lot of architects out there who would be interested in learning from your expertise. If your knowledge will save other businesses time or make them more money, buying a $49 ebook is a no brainer for them. If you have expertise in a niche, 95% of your target audience knows less about the subject than you do. You don’t even have to be a guru. You just have to do it and start sharing (or selling) packaged knowledge. Don’t be afraid or shy to turn your knowledge into an ebook to sell online. A nice example is the book “101 Things I Learned in Architecture School “, a well-known book among architects, by Matthew Frederick. As is typical for product-based businesses, selling an book online runs completely on autopilot: people make a purchase, the book arrives in their inbox, and the money goes to your bank account. All of this happens without any intervening from your side. Systems like https://payhip.com/ all manage this for you. People who write an ebook are often viewed as an authority on a certain topic , which is very useful when growing an audience. That’s also why some ebooks are offered for free, for example by Enoch Sears of the Business of Architecture. Today, Pat is making over $100K of MRR (monthly recurring revenue) with online commissions and ads via his very popular blog http://www.smartpassiveincome.com/. OK, I agree…this is rather exceptional. If your goal is to repeat his story, you’ll only get disappointed or frustrated. But there are tons of smaller examples of people who are doing just fine and making a decent amount of automated, passive income online. You probably already know John Hill with his A Daily Dose of Architecture. He writes great content about topics he’s passionate about. Anthony Robledo is doing the same, writhing about Mac and iOS software tools on Architosh. Both are having fun writing about topics they love, and as a side effect getting money from ads. Think about your expertise, something you’re passionate about, and start blogging about it or share it in another way (youtube channel, podcasts…). If your content is good, authentic and honest, if you’re persistent and willing to keep writing regularly for years, and if you use some proven tactics to stand out from the crowd (more on that in a later blogpost) some revenue will definitely come out of it. No doubt about that. Ask ANY blogger, and they’ll confirm. Literally everyone can blog. It is straightforward, and yet, so many start a blog and give up on it. Why? Because it takes upfront effort and time. There is a delay between the sweat and the payoff. Often, this is several months or years, so people give up (but hey, that’s not you, right?). You build up an audience over years, not in weeks. Creating an audience is not easy and takes time, but once you’ve established this (after years of hard work) you can not only use this audience to generate advertising revenues but also to sell any product of your own (like an ebook, a course, or anything else you can think of). Sites like Archdaily, Archinect or Dezeen have built up very big audiences. Archdaily has 7 MILLION monthly visits, oh my. As you can see there are advertisements and affiliate links on all their website pages, displaying products and services for architects. Great content means more visitors, which means more revenue for them. Don’t let these examples scare you: they’re big and chances are very low that you’ll ever reach that volume of visitors. However, I’m 100% sure that it’s possible for you—as an architect/engineer—to build an audience by offering great content to a carefully selected niche. We have been interviewing Doug Patt of How to Architect about this topic. Doug knows a great deal about how to design and market products (real, tangible products, not software products). Just imagine: he was able to design, manufacture and sell a product to replace shoelaces and then sold that business to a shoe company. He shared a lot of insanely valuable information on this topic with us, and you’ll definitely want to read our upcoming in-depth article covering this topic. Although designing and selling products may seem far away and maybe even unrealistic to many architects, Doug explained to us how applying the right process and using today’s technology makes this much more feasible than you’d think. Architects often are creative people. They are capable of making drawings of their ideas, and they are used to thinking about how something should work for the end user. You might see a certain problem repeating itself so you come up with a solution product for it. Everything related to renewable energy in the construction business is booming. The usage of the internet in buildings (the internet of things) and in cities (smart cities) has just started. The world changes every day, and so do opportunities for new products. 3D printing gives the opportunity to ask for early feedback and validate your idea or even sell it based on a printed product before going to a manufacturer and investing all your savings. Sites like Kickstarter make it possible to raise capital relatively quickly and will validate your product ideas based on the community (if you are not able to raise anything on Kickstarter, then you’ll have a difficult time selling your product). The interview with Doug Patt on industrial design was so exciting and motivating. He is a very inspiring entrepreneur. I have never created and sold real tangible products, so I learned a lot from him. As you might know by now, this is my thing. Next to selling my services as a software developer (I run my own small software company), I have built several SaaS (software as a service) products. The first attempts to build a SaaS failed, but thanks to the mistakes I made and what I learned from them, I now run ArchiSnapper, which I’m really enjoying and is doing great. 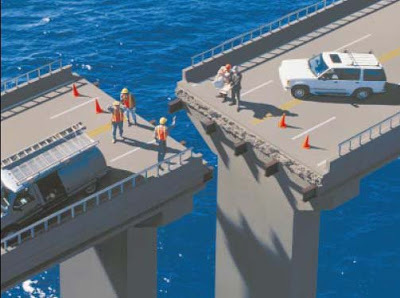 The biggest mistake I see is building software that does not solve a problem. There are so many people with a great “idea” that does not really solve a problem. Or the problem they solve is too small for people to worry about. It is so hard to sell something that does not solve anything, believe me. If you solve a real burning problem, if you fix a pain point, people are willing to pay for your solution. As an architect/engineer, you know what it’s like to run an architect/engineer business, so you know what the typical pain points are doing. Which missing piece of software would save you hours every day? Is there any administration that you really hate which could be automated? Scratching your own itch has proven to be very successful in software development. If you manage to build a software that solves a pain point, then the potential can be really big. You don’t need millions of users. Just imagine: 300 users—which is not unrealistic—who pay $40 every month to use your software, and you’re already at $12K a month of recurring revenue. SaaS businesses are very scalable. The cost of an extra person using your software is close to zero. Wheather 10 people use your software or 10K people use your software, the cost of building your software solution is virtually the same. Building and selling software is something that won’t happen overnight and typically will require you to invest time and financial resources for development and marketing of the software. Compared to an ebook, for example, this is not the easy path. One could argue that software is a high risk / high reward option for generating passive income. To illustrate that the rewards can be high, take the example of Freshbooks, a SaaS accounting software most of you might know. Freshbooks’ founder Mike McDerment used to run a design studio before scratching his own itch. He had no easy way to invoice his clients, so he built Freshbooks. 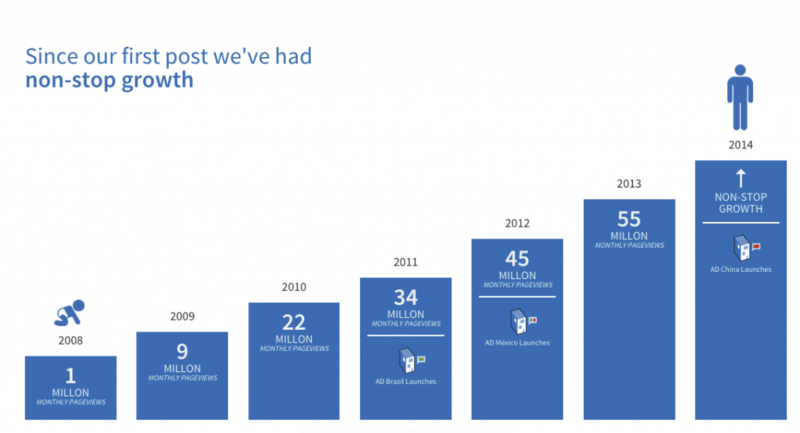 Today millions of people use Freshbooks. Some other examples are Sefaira, which was built by an engineer who saw a software opportunity to help architects and engineers designing high-performance buildings, and Bricscad, which was developed by an architect who found the then-existing CAD solutions were unsatisfying and difficult to use. Although there is a certain risk building software (it could not take off at all and has a rather high upfront investment cost), there are several ways to limit the risk so you make sure you are not building something that nobody will buy. 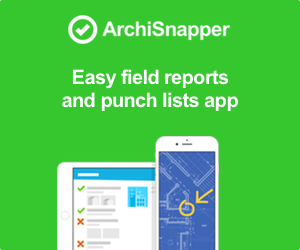 I’ll detail the story of ArchiSnapper and how we had clients even before the first line of code was written in a future blogpost. There are so many areas to master in the field of architecture/engineering: general management, marketing, CAD drawing, LEED exams, stability calculations, impact analysis, new design trends, and the list goes on. Learning something by yourself via trial and error can be much more expensive and time consuming than buying a nice bundle of well-documented knowledge. Even if everything can be found online, business don’t always have the time and energy to figure everything out by themselves and would often prefer to pay for well-documented and directly applicable knowledge. If you are an expert in a niche area, why not educate others and sell your knowledge? You have already made certain mistakes, you have paid the learning curve, you discovered the details. There are tons of businesses and people out there willing to pay for a course in order to not make the same mistakes and speed up their learning curve. Whatever it is that you are mastering, I’m sure lots of architects would be interested in learning from you. Architect Paul F. Aubin is selling Autodesk related courses online. Mark LePage is helping small architectural practices build a better and more profitable business with his Academy on EntreArchitect. Enoch Sears and his partners are helping architects put a better marketing system in place with architectsmarketing.com. Michael Riscica is helping architects pass for the Architect Registration Exam (ARE) on Young Architect. And before we forget, Pat Flynn’s (the +100K MRR guy from above) first online business was a LEED course. Platforms like Udemy and Lynda make it easy for anyone to start selling courses online today. As an architect/engineer you are in a better position than the average person to invest in real estate. You probably can estimate better if a house is in good condition, what the possibilities are to transform a building into 3 apartments, what the cost would be to do so, what possible difficulties you could face with a certain building or construction project, and so on. On top of that, chances are high that sooner or later you’ll get in touch with small private investors or businesses investing in real estate, especially if you actively seek for it. Just imagine you constantly apply this principle, and over time you own a 5% stake in 20 small real estate projects, each getting $600 a month in revenue. PS: I’m still looking to interview someone who actually did this, so please get in touch if you know someone who did this, or if you did this or something similar yourself. OK, all fine, Peter, but where do I start? I might have overwhelmed you a bit with all those examples. You might feel paralyzed because there are so many ideas on the table right now, and you don’t know where to start. Also, the gap between nothing and Pat Flynn’s $100K MRR is just… demotivating you totally. We’ll do this by sharing our own experiences building our SaaS http://archisnapper.com/ and by guest interviews from other architects/engineers who have done the same. Stay tuned via the red bar on the top of this page. Oh, and psssst: it took some time to write this blog post. It would take you only a second to share/like/tweet it using the buttons below. I would be happy if you did so! Also, follow us on twitter or like us on Facebook to stay in touch!